I have to hand it to Google. They, along with Asus have put together a tablet that should do well in the market. Based on my experience with an Asus laptop, it is a great company. According to reviewers who have had a chance to get their hands on the Nexus 7 claim it is solid and easy to use. It is going for a competitive $199 price, the same price as the Kindle Fire. Good news for Android lovers. The Nexus 7 will run on the latest Android operating system, Jelly Bean. Here’s the catch. Google has a tendency to release a lot of projects that show promise, then they fizzle. Note Google Wave, and Google Buzz. Even Google Plus hasn’t found a strong footing. They’re very innovative with their ideas, but they don’t quite follow through from start to finish. If the tablet went in the same direction, technical support would be mediocre at best. An advantage that Amazon has over Google as far as tablets are concerned, is seniority. Over the past year, Amazon has built up a robust app collection for the Kindle Fire. It is also the front runner on books, which is the way it should be considering that books are what Amazon is most known for. The 2nd generation of the Kindle Fire is expected to release on July 31 with a camera and other much needed tune ups. So, if you can wait a month, see what this new version has to offer, and then weigh it with the Nexus 7. Chances are that Amazon will include a lot of the features that the Nexus 7 currently offers that the first generation Kindle Fire doesn’t, such as a camera. When it comes to buying technology, I try to wait til the 2nd generation or later. I did this with my Kindle, iPad, and phone. The price goes down and the device gets a tune up. Google’s biggest asset is search engine technology. Different companies excel at different things. I think they have what it takes to make a good 7 inch tablet that can be competitive. The question is, will they go the extra mile and make it better than good? As consumers we have options that can fit different preferences as opposed to being locked into one device, which is awesome. I’ll be watching closely to see what happens with the new Google tablet, and how it will fare in the tablet market. 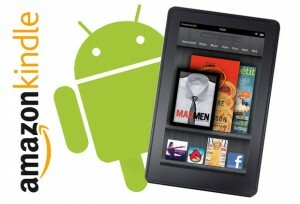 Will Kindle Fire Stay Relevant If Google Cleans Up Android Marketplace? The strength of the Kindle Fire as a tablet tends to be its close integration into Amazon’s web services. Everything from video to eBooks is right there at the touch of a button, integrated seamlessly into your browsing and available practically the second you have an interest in it. In terms of wider functionality, however, it does fall short. There is minimal support built in for alternative file formats, no official access to competing distributers in many cases, and a closely controlled Android Appstore that keep the situation closely within the company’s control. This all makes sense from Amazon’s point of view since they are attempting to offer end to end support and persuade customers to stick around entirely inside the provided ecosystem. In fact that last point about the Appstore, despite being inconvenient in a lot of ways, has been a selling point for the Kindle Fire for a lot of people. While the selection is not yet on par with Google’s Android Marketplace, it is also much safer and tends to provide a better working environment. Users might not get the latest patch on a given app until it makes its way through the lengthy screening process, but typically this is only extremely upsetting for highly active developers with rapid release schedules or people who run into issues with a current version who are kept waiting. Anecdotal evidence suggests that this is a tradeoff that many are more than willing to make. Google has recently announced that they have put in place controls on the Android Marketplace that should do a lot to address this situation, however. Their new service, dubbed “Bouncer”, screens apps for malware automatically prior to their release to customers. It simulates an android phone, runs the app in a sandbox, and tracks behavior against known examples of malware found up to this point. While we are only just now learning of this, Google claims that it has been in effect for some time now and is responsible for a 40% decrease in the number of potentially harmful apps being released. While this is not at all comprehensive, it is a step in the right direction. Should Google get as proficient at automated screening as they hope to be able to announce in time, it could put a big dent in a majorly favorable aspect of the Kindle Fire. While the general Android experience is likely to remain fragmented, which will always tend to favor consistent experiences like those offered by Amazon and Apple (Apple is much more thorough on this point of course), safety and security are big concerns when using devices that in many cases serve almost exclusively as ways to purchase media in a convenient manner. It is unlikely that this is a direct response to the Kindle Fire on the part of Google. They have plenty going on right now in general and despite Amazon’s managing to snag the top slot in terms of most used “Android” tablet, things are clearly doing well for the company in general. With Windows 8 right around the corner though, it is increasingly important to bring everything to bear to secure customer loyalty. The Kindle Fire is a step in that direction that would be too extreme for the vast majority of Android device developers, but some of its strengths may serve well as examples. Admittedly I was one of many people who were initially a bit shocked and disappointed by the news that the Kindle Tablet would run on a forked version of Android from a pre-3.0 base. Since Android 3.0 was the first version optimized for tablets, and since I want the Kindle Tablet to be as useful a device as the Kindle, there seemed to be an important connection being missed somewhere along the line. After a bit of further research, though, this could be a great move to establish the new ecosystem. There were some analyst observations made recently that brought the truth of things out pretty well. Essentially, since this isn’t just an early release of Android it may not matter quite as much that it isn’t based on the most recent release. The best way to think of this may be as an alternative to Android. The Kindle Tablet OS, by all accounts, is built on the Android base code but does not carry over any of the experience. It seems like something of a slight to Google to take their offering and run in another direction with it, but that’s another matter entirely. What makes this an observation worth making is the way it increases the Kindle Tablet’s potential for creating a real presence for itself. On the developer end of things, Android development is forced to exist in such a fragmented environment at this point that there is no simple way to keep up with everything. Amazon is in a position to immediately take a dominant position among non-iPad tablets. The combination of a huge user base and a stable environment could be enough to persuade many developers to release software exclusively for the Kindle Tablet, even leaving out the ability to make assumptions about the hardware capabilities of the end user. A greater selection of apps than competing tablets is a big draw for customers, if the iPad can be taken as an example. On the customer end of things, Amazon has already proven to be more effective than Google in moderating the content of its own Android App Store. They’ve also shown a fair degree of insight into meeting user demand, as demonstrated by the Kindle, Kindle Apps, and the Amazon.com websites in general. Combine the expected $249 price with a unique and positive user experience and it is hard to argue with a purchase, especially compared to more expensive and less impressively backed competing tablets. Yes, it would have been nice to see Amazon having used a more recent release as their starting point. The fact that they didn’t does imply that they’ve been at work for quite a while making the best product possible. The Ars Technica preview that brought so many of these details to our attention in the first place emphasized how fluid and intuitive the tablet was to use, so apparently they have made good use of that time. While I will continue hoping for certain hardware improvements in the form of a high end Kindle Tablet(Hollywood? ), there seems to be no reason to find fault with their software decisions at the moment. Just when I thought Google (NASDAQ: GOOG) owned everything with their new Google+ social network site launched last week, I found out that they hadn’t gone after the Kindle yet…until now. 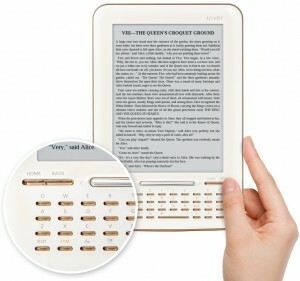 Google’s new e-reader is called iriver Story HD, and is the same price at Kindle Wi-Fi at $139. The device will be available in at Target starting July 17. It looks a lot like the Kindle with the keyboard and is about the same size. 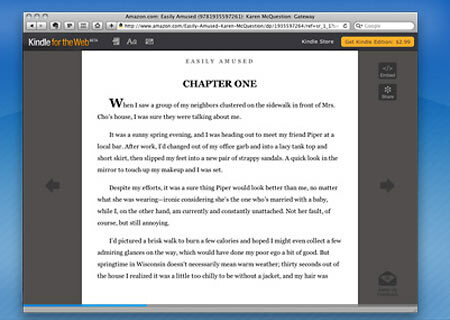 The Google e-reader will have access to books in the cloud. Many are free and public domain books, but users can purchase books online as well. The good part about the books being in the cloud is that they can be accessed from any smartphone or PC without having to move the file itself. Cloud computing is really taking off, with Amazon’s unlimited cloud storage and Apple’s iCloud coming with iOS5. I really think that Amazon (NASDAQ: AMZN) is way ahead of the game here because the Kindle has been out for four years. Story HD also needs to be available in other places besides Target. The Kindle is available in several retail stores in addition to Amazon’s store. The only real competition for the Kindle so far is the NookColor, which just recently bypassed the Kindle in sales. The Nook and Sony Reader touch are picking up steam, however. But, who knows, the rumored Kindle Tablet might just blow that competition away. Speaking of tablets, I will say the iPad is a whole different ballgame. It is more like a computer than an e-reader. I just got one, and plan to keep my Kindle for awhile yet. The other thing is, Amazon’s niche is books, magazines, and other media. So, they have a long running relationship with authors and publishers. Google seems to want to be an umbrella of things. I think that it is better to excel in one area than try to venture into a lot of different markets. But, Google is doing a good job so far with acknowledging user feedback on its products during their beta stage, particularly for Google+. So, I’m sure they will do the same for the iriver Story HD. Here’s a video of the iriver Story HD if you want to see it in action. This Tuesday, just days after the release of Google’s new eBook store, Amazon(NASDAQ:AMZN) gave us our first glance at the new Kindle for the Web service. Seemingly meant to compete almost point for point with its new Google counterpart, Kindle for the Web will let users transcend the limitations of dedicated eReaders, and even eReading apps, to the point of opening your collection on practically any web browser on the market. We can expect to be seeing an actual release of this product, and the complete eBook access it brings with it, early next year, though in the meantime the existing service allowing Amazon customers to preview select chapters of their books will have to do. This new web service will allow for inter-device syncing, all of the highlighting/bookmarking/annotating that you could ever want, and the ability to share your favorite passages all without ever bothering to install an app or download much more than the book you happen to be reading (which will end up in your temporary internet files to be cleaned up later anyway). It’s hard to say if this is meant to be a catch-all replacement for the many device-specific applications currently being distributed, but it will open up possibilities and, hopefully, a chance at simultaneous feature roll outs across the Kindle family. One of the other fun additions to the product line that comes along for the ride is the ability to make pretty much any website into its own little Kindle book store. Webmasters, bloggers, and pretty much anybody with a web site should now get the chance to talk about or quote from their favorite books, link along to a purchase page for the main text, and maybe even make a little bit of money for the referral. This could be a great way for the Amazon marketing machine to send out some quick and easy connections to the web at large. The most interesting point on which Google seems to have the edge here is the opportunities for independent authors. In addition to an easy upload program for authors, similar to what Amazon has already been doing, there are some really neat promotional tools to play with. It also has some built-in social networking. Assuming you set things in your profile to ‘public’, your friends can look through your purchases, see what you’re reading, and get a general comparison of what people are up to. It’s a new service, so of course the novelty hasn’t worn off yet, but I’m finding it to be a lot of fun so far. If I had to make a guess at this stage, acknowledging that the Kindle for the Web service is still pretty difficult to review to any extent as it doesn’t really exist yet for us general users, I’d say that these services are pretty much equally matched. Amazon has the experience, but Google may soon have the superior selection, and may even adapt their service to be usable on Kindle devices themselves (currently you can use it on the Nook, but the Kindle‘s browser doesn’t quite cut it. We’ll know more for sure in early 2011, it seems! Kindle to have new competitor soon – Google Editions! Current reports have indicated that the much awaited Google entry into the eBook marketplace is soon to be released. We had expected to see this early in the summer, based on initial time-lines, but some technical difficulties and a few not so technical difficulties got in the way. More recent reports lead expectant readers to believe that we will now see a store unveiling within the next month! Google Editions, as it is currently known, will be an extension growing from the established Google Books service. The central idea behind the service, as best as I can tell, is that users will be able to access their purchased books through any device with a web browser after they log into their Google account. This would eliminate the need for dedicated eReading devices, in theory, while still allowing access to your purchased books on devices like the Kindle that have web browsing capabilities. The one obvious functional roadblock comes from the inability to access your eBooks without an internet connection. Supposedly there will be the option to download your purchases, but so far no information about format or offline compatibility seems to be available. This could slightly hinder adoption by owners of Nook and Kindle devices, since leaving y0ur internet connection constantly turned on can cause significantly faster battery drain. It is unclear at this point what the potential is for success here. Google has a reputation for doing things right, but they face an established market of competitors at this point and a lack of goodwill from existing copyright holders(as evidenced by the need for a 2008 settlement on lawsuits related to the Google Books service). It won’t help matters that Google will not allow publishers to set their list prices for eBooks at a price higher than the lowest priced print version of the same book, nor that the default pricing will be set at 80%. Will the popularity of the service be enough to overcome this? We can only wait and see. Personally, I’m hoping so. My only major complaint about the Kindle has been the closed format restrictions that it forces on me, so ways around that would be more than welcome.